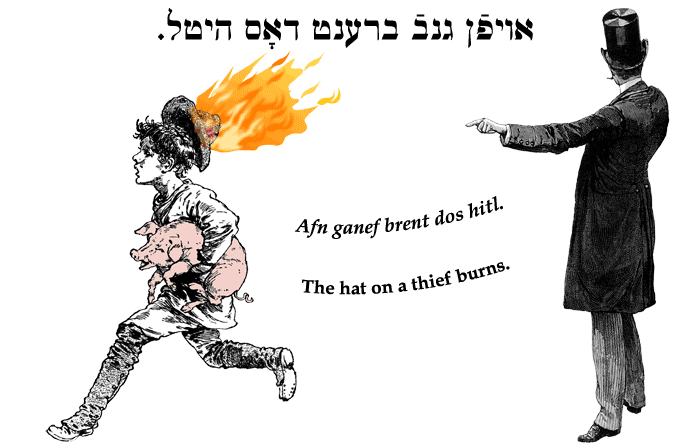 Yiddish Wit: The hat on a thief burns. אויפֿן גנבֿ ברענט דאָס היטל. Afn ganef brent dos hitl. The hat on a thief burns. A thief's guilty conscience will betray him sooner or later. SOURCE: Bernstein, Jüdische Sprichwörter und Redensarten.